Last week, I showed the Leavenworth Nine Patch quilt block in a straight set. This week, we’ll look at a few on point set designs. The following shows the Nancy Martin version set on point. To make it more interesting, we can rotate some of the blocks. Or we can add sashing and cornerstones. We could rotate and add sashing (which is probably more interesting), but this design just adds sashing and cornerstones. Next is the BlockBase version of the Leavenworth Nine Patch block (no sashing; just the block). The only difference between the above design and the following design is the substitution of a plain block. Amazing! Let’s add an alternate block and see what we get. I’m suddenly thinking about argyle socks! Not a fan of red, black and white? That’s okay. You can use any colors you want. In fact, just reversing two of these colors will create a dramatic difference. I like this one the best! What about you? 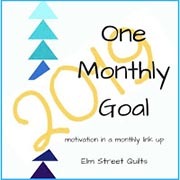 This entry was posted in Uncategorized and tagged BlockBase, LCsCottage, Leavenworth Nine Patch, Nancy Martin's Perpetual Calendar, patchwork, quilt block, quilt design, quilting. Bookmark the permalink. Very interesting, I am not so sure about the socks though. Would be complicated to knit, have you sewn them? I don’t knit, and haven’t sewn argyle socks either. I admire them. Or do you mean have I created the quilts? Only virtually. I’ll never live long enough to create all the virtual quilts that I’ve had the fun of designing with Electric Quilts assistance. LOL! I love the variations of the Leavenworth Nine Patch you created. I have EQ but have not taken the time to learn it well enough to fully appreciate its capabilities. One block at a time, Charlsey. That’s how I learn it. I need to work my way through the lessons that came with EQ7…that’s on my to-do list this year. Another way to practice is to try to recreate a quilt from a magazine in EQ…just to gain experience and confidence with the program. When that is accomplished, start altering and playing with the design. The Argyle socks is the winner! Could perhaps be broken down to make in interesting mystery quilt. I hadn’t thought of that, but now I have a vision of Sherlock Holmes with his pipe and slippers musing over clues. I love word association … takes the mind on some wonderful journeys!